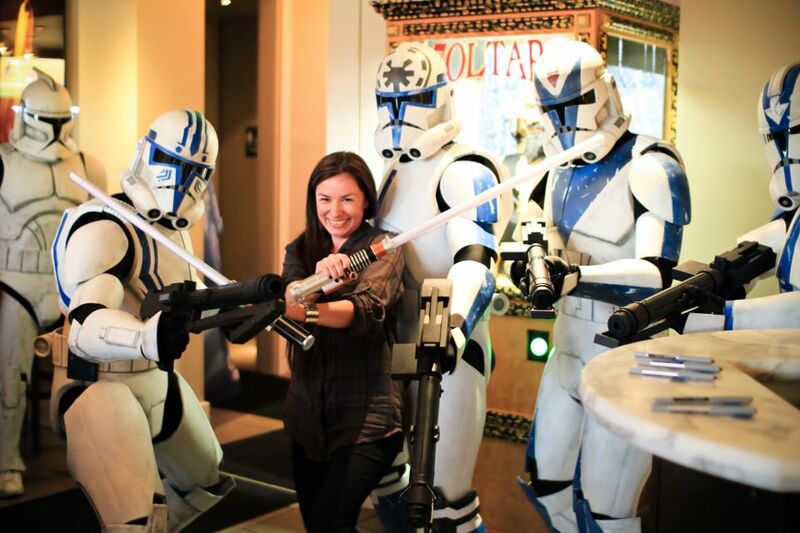 Athena Portillo has had a multi-faceted career at Lucasfilm. Starting here as a Licensing Intern in 1996, she subsequently worked as Production Assistant in the Art Department at Industrial Light & Magic. 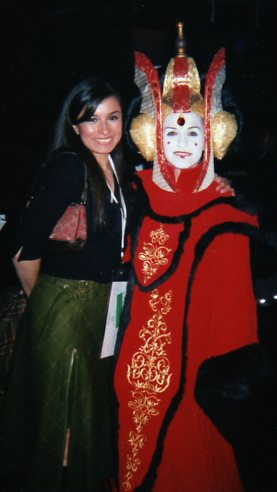 She later returned to the company in 2006 as a Coordinator and Producer at Lucasfilm Animation. 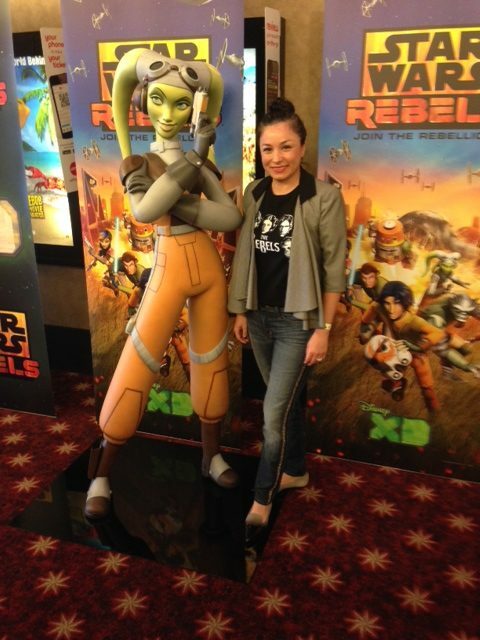 Athena is a veteran of Star Wars: The Clone Wars, Star Wars Rebels, and is now Executive Producer on Star Wars Resistance. Do you remember your first day here at Lucasfilm? I just remember going through those gates at Skywalker Ranch and feeling so fortunate that I would be able to work alongside some of the most talented folks around. Could you describe a typical “day in the life” in your position today? In a nutshell, being an Executive Producer for a show entails a lot of communication, coordination, orchestration, facilitation and execution in making sure that everything is going according to plan to meet our weekly scheduled deadlines. Do you have a favorite accomplishment during your time here? Collaborating with Executive Producer and Supervising Director Dave Filoni to set-up the production workflow for every show from The Clone Wars to Rebels to Resistance has been my favorite accomplishment. I had the opportunity to also set-up the production for The Clone Wars out of the Singapore studio for six months back in 2007. That experience was so great! To be able to work there during the first season of the show and collaborating with the artists on the shot production side was unforgettable. There’s always a way to execute the vision without breaking the bank, and I think that the workflow we’ve created allows us to make those creative adjustments. Even when we made The Clone Wars, we had an episode that we were asked to revisit. We had already locked the animatic, but we decided to pause the schedule and start over, and it didn’t break us. It goes back to that great communication. What is the most enjoyable part of that process? I like setting up shows. I like the very beginning, the testing and development, and the establishment of the relationships. For me it’s the hardest part, that first six to eight months. Then once it’s up and running we’re ready to move on to the next challenge. What is particularly special about working at Lucasfilm Animation? One of the best things for me is working with Dave Filoni. He understands Star Wars so well having learned from George Lucas. He’s our mentor. We’ve produced over 200 episodes of animated Star Wars content between The Clone Wars and Rebels. It’s just amazing to see how much footage that actually is. And now we have the opportunity to continue to tell more stories through Star Wars Resistance. What makes the working environment at Lucasfilm different from other places? My motto is “all hands on deck.” No matter what position you’re in, everyone should be treated the same. Beginning as an Intern, then moving onto Production Assistant, to Coordinator to Producer, I never feel that being where I am now means that you have to stop doing what you did in those earlier roles. Treat everyone with respect. One day that intern or PA you mentored might be your boss! How does being a huge Star Wars fan impact your work? I’ve always been a fan. I remember seeing the films with my family. I never get exhausted watching our episodes. I love doing the reviews and quality checks. There was one day when we came in on a Saturday to view all 22 episodes of Resistance for continuity. It took about 10 hours but we never ran out of energy because we’re all fans and we have so much fun with it. What’s your favorite Lucasfilm movie, and why? The Empire Strikes Back is my favorite movie. I clearly remember going to the theater to see this with my family. I saw A New Hope in the theater too, but Empire was more memorable to me. I think it’s because it was so dark and I loved seeing what Luke Skywalker went thru to get to where he needed to be in Return of the Jedi. It’s also where I developed my crush on Mark Hamill, while my sister crushed on Han Solo. That was a subject of endless debate between us. What advice would you share with those aspiring to work here at Lucasfilm? Internships are a fantastic way to discover if a particular field is for you. I started in Licensing thinking I wanted to be a writer. But as an intern there I volunteered my time at ILM while they were working on the Star Wars Special Editions, and fell in love with visual effects. My interests kept changing. I feel the best way to find your passion is to become an intern at a company that you’re interested in. I get so excited when we bring new interns onto our projects today because that’s our future staff at Lucasfilm Animation. I’d also say that when you’re young it’s important to not compare yourself to others too much. Focus on what you’re doing and challenge yourself to improve. I’d rather take the time to be knowledgeable enough to move forward rather than take a shortcut. It helps me strive to accomplish more. Having nervous energy is a good kick in the pants. It keeps you on your toes. Just don’t let it consume you.